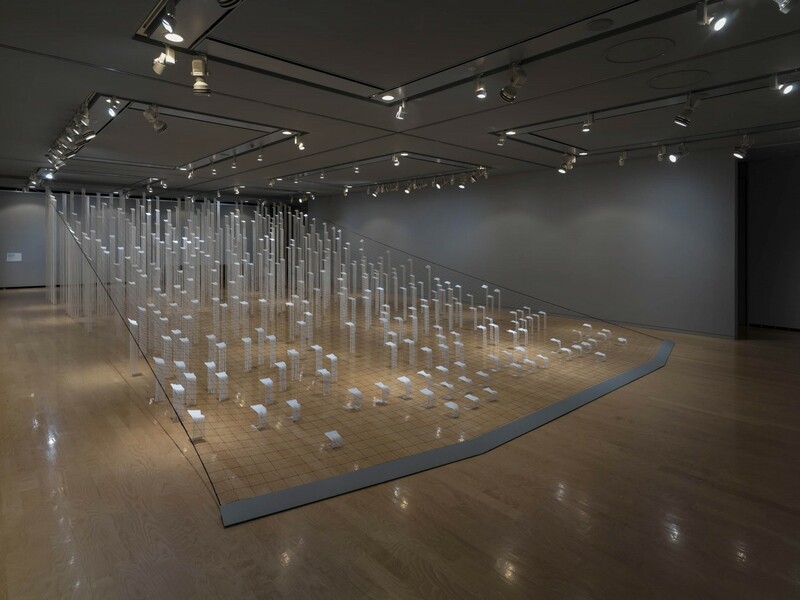 This large installation was made in response to the request from the curators of the museum to make an artwork for blind people; either completely blind or those with weak eyesight, although museums are usually designed for those who can see. For this purpose, this work consisted of the four elements shown in the following. 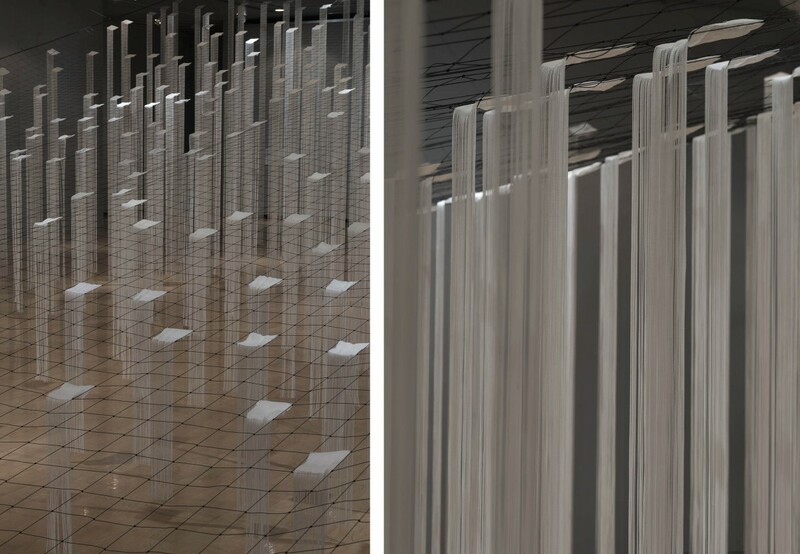 A 3-meter-high installation with string curtains that indicated texts in braille on the net above, under which the visitors could walk through and feel the texture of the strings. 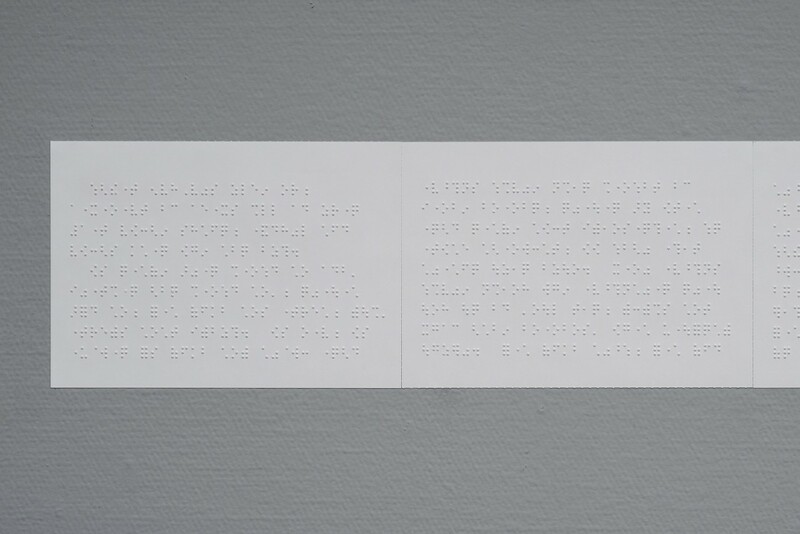 A text in braille on the wall, which the visitors could read and touch. The text was written as a letter from the artist. 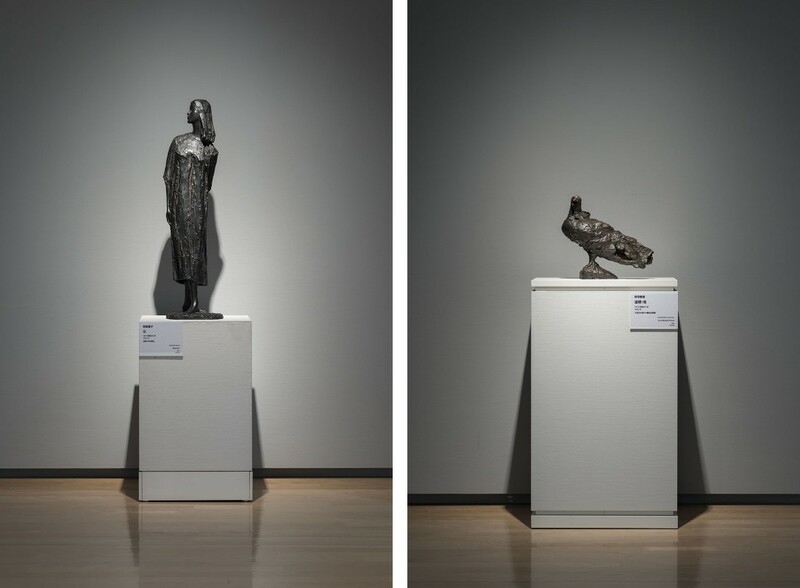 Two sculptures from the permanent collection of the museum, which the visitors were allowed to touch. The braille plan on the net. 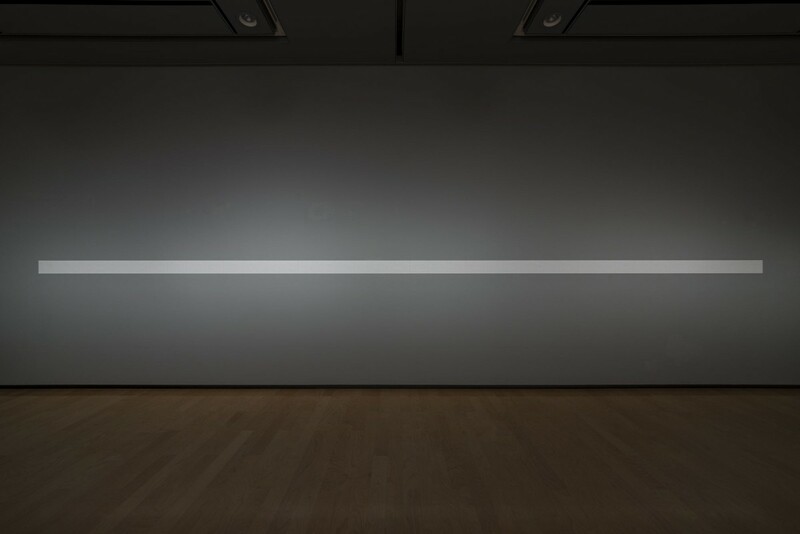 I sought ways of keeping equality between blind people and those who can see in the museum, which can be referred to as “the sanctuary of sight”. 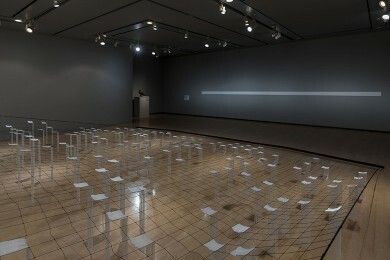 Here, the visitors who are not blind could see the large installation but not read what the letter said. 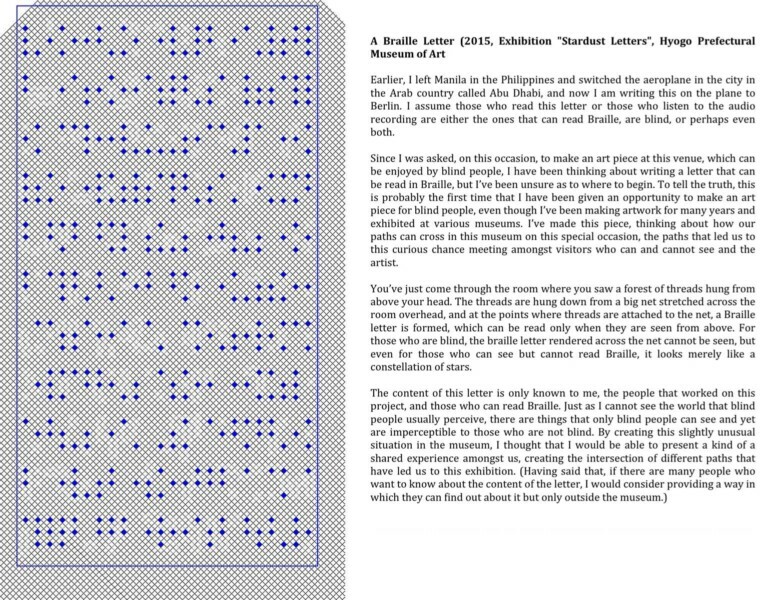 On the other hand, blind visitors could not see the installation but “read” the letter. Both of them were invited to enter the forest of threads, walk through and feel its texture. 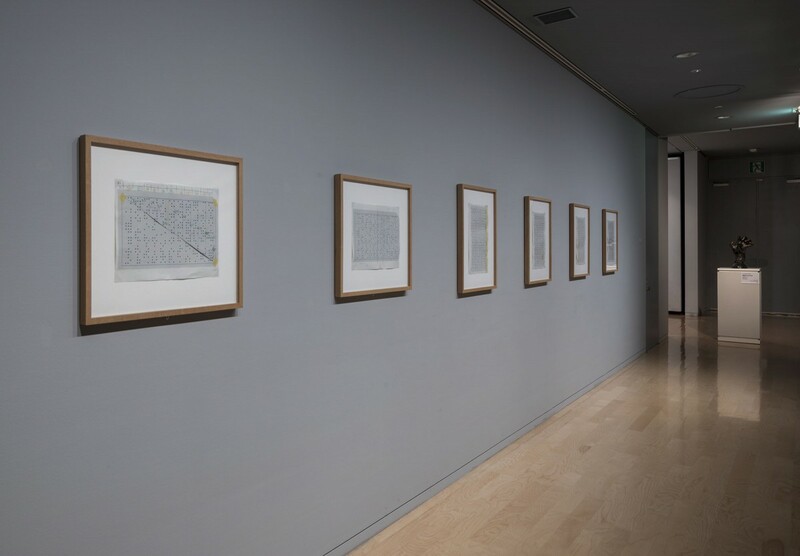 The content of the letter was kept strictly secret from the people who can see during the exhibition in order to maintain the equality between the two types of visitors.